Online ordering menu for Halftime Pizza (Bandera). With two locations there are no excuses why a pizza from Halftime pizza shouldn't be ordered. BUT, instead of calling, try our new online ordering feature that makes it quicker and easier for you to get your food. Our gourmet pizzas are made from the best ingredients available, a unique 5-cheese blend, and dough that we make fresh daily in our own kitchen. Or try any one of our crisp salads or juicy burgers. 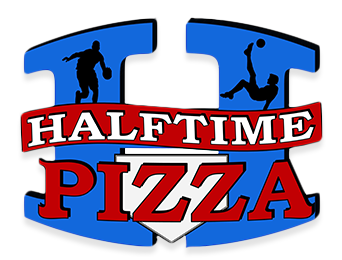 The options are virtually endless, so help yourself to some Halftime Pizza deliciousness and as always, we appreciate your business!